Little Miss Powerful: Life's a Journey...This is Mine. : That's Bananas. Literally. I saw a post today that there is a new (or at least new to me) diet that is popular on Instagram. It's a banana diet. Those who engage in this strange (in my opinion) diet eat nothing but bananas. Apparently the standard is 30 bananas a day. A large banana is over 100 calories. That's over 3000 calories a day... In bananas. That's more calories than most of us need. That's also an amount of potassium that I can't imagine is good for a person (over time). Being the curious person that I am, I had to check it out. So I went to Instagram and typed in bananaisland in the hashtag search. There are over 14,000 pictures that are associated with that hashtag. I guess people are enjoying their bananas. One girl noted that she ate 20 and was aiming for more the next day. I. Don't. Get. It. 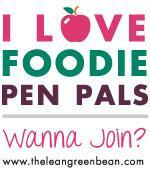 Of course I don't get most fad diets... Or diets in general. Is it really so hard to just eat healthy food? Why do so many people have to follow diets these days? Healthy eating will lead to the results you want while benefitting your body rather than putting it at risk. The only thing I can come up with is instant gratification. People want the results with little effort. Fad diets are like diet pills... Totally unnecessary. 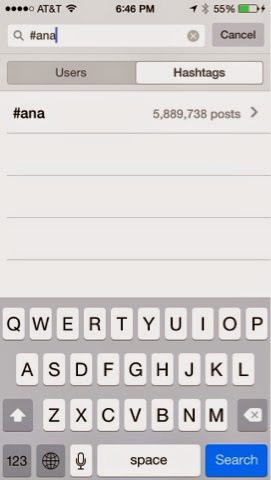 What was more disturbing to me is that I came across a post where a girl had also used the hashtag "Ana." For those of you who don't know, that stands for anorexia. And "Mia" is for bulimia. They are typically associated with the proana and promia communities. These are people who want to have an eating disorder and choose to live this lifestyle. Eating disorders are mental disorders that lead to severe physical illnesses. Most people who develop them do so for other reasons. No matter the cause both are difficult. The fact that people seek it out as a lifestyle choice still freaks me out. I wrote a paper on it in grad school and did a ton of research. What I found was disturbing and frightening. These issues are still highly prevalent and yet they still seem to be a taboo topic. Or maybe it's that they've been around for so long people don't talk about them anymore. The truth is that they are still here and millions of people live with them every day. I tried to search proana and promia hashtags on Instagram. Those hashtags must be banned because I found zero results. However #ana and #mia yield numerous results. Over five million posts each. One thing that I was glad to see was that my phone showed concern over me searching those hashtags. I was also given the opportunity to learn more about ED based on those searches. Thanks, Instagram. I think it is awesome that you include some useful information and send an alert out to users. I was honestly surprised about that... In a good way. I'm happy to see that a social networking app has that included. Very cool. 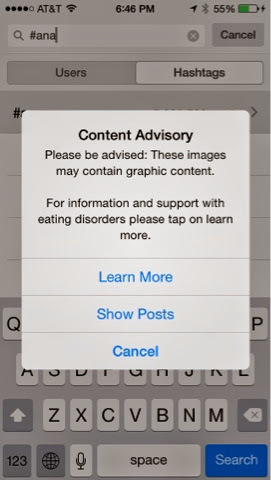 Interestingly, the hashtags for bingeeating, bingeeatingdisorder, and emotionaleating had different results. Some still lead to pictures of astonishingly thin girls. Some showed unhealthy foods; what people were about to binge on, and many showed various pictures linked to success overcoming the disease. The foodaddiction hashtag was linked to various pictures of food but not as much was related to addiction as it was showing yummy looking food photos. Fad diets are bad diets. But they really get my mind going. Of course, eating disorders are one of those things I'm passionate about. I could spend hours researching and reading. It's disturbing and emotionally draining but that's because it's real. ED is out there and isn't going anywhere. The proana and promia culture seems to be growing. I wish there was more awareness and education was out there. It seems so silent... And there is such a need for it. That's another reason I try to stay so positive on this blog... And in life in general. Living healthy is so freeing. I try to advocate for living a healthy life. For some, like me, that's resulted in weight loss. It has been good for my health and my mental well-being. Now I live healthy because I like it. Can I stand to lose a few pounds? Yes. Is it an obsession? No. I really try to focus more on what I do right - fueling my body with healthy foods and staying active as a way of life rather than a means to an end (for me that would be weight loss). At the end of the day your health is what matters. The size of your jeans or the numbers on the scale can be used as measures but shouldn't be relied on for anything other than that. If you are living healthy your body will get where it needs to be. Please know that sometimes you need extra support and help getting there. And that is totally okay. There's nothing wrong with asking for help. And I believe it makes you stronger. Honestly, it takes a strong person to say "I need help." It's easy to hide from any issues in life. It's a lot easier to pretend they are not there than it is to face them. We all have that strength somewhere inside if us... Even though society attaches a stigma to whatever it is we are dealing with, we are strong. I think that people don't often share their struggles or ask for help because there is negativity associated with it... Which needs to change. It's okay to say "I messed up" or "I have this problem." It's being honest. Someone might be disappointed in you for something but they'll respect you for your honesty. They will also be more likely to help you out if you go to them and are totally honest. No excuses... Just own it... Whatever it might be. I always tell people that when I changed my lifestyle it was like a switch went off. I saw a picture and thought "I'm 29 and I look like that." I had to admit to myself that I was morbidly obese. It took a picture and the beginning of the last year of my 20s for me to allow myself to be okay with the fact that I was so obese. Once I did that, making the change was easy.